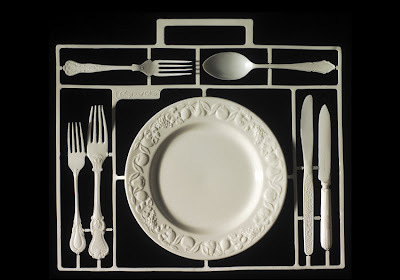 Snap and Dine is a single use three-course table setting that integrates disposable cutlery with traditional silverware. The portable lunch setting expands the possibilities of eating outdoors in style whilst reinforcing the correct use of cutlery, which has been lost over time. This is achieved through the decorative qualities and formal setting which both are a visual reference to fine dinning. This product is fun and interactive whilst raising the standards of current eating on the go habits.